Don’t save all the great food for one holiday meal—make holiday mornings special with some simple, hearty and flavorful breakfast recipes the whole family will want to wake up to. • Make Overnight Breakfast Casserole the night before, then just heat it up in the morning. • Set out some Amazing Breakfast Muffin Cups—they’re perfect for people who like to graze throughout the morning. 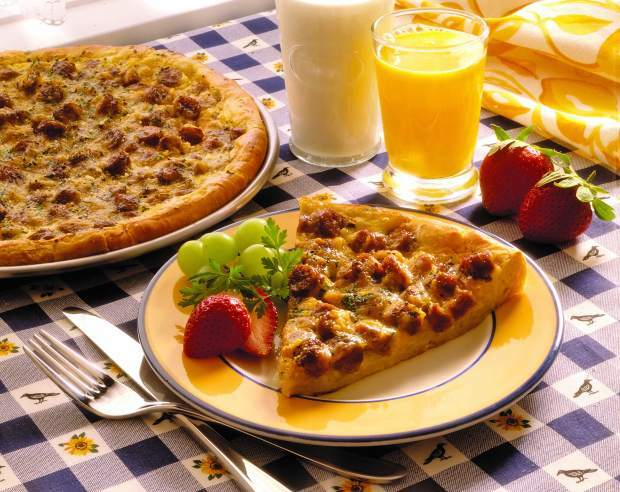 • Breakfast Pizzas with sausage are quick, fun and delicious—and loved by everyone, from the picky kids, to the uncle who’s never satisfied. • Sweet & Savory Bruschetta will become your new go-to recipe that makes you proud when you’re asked to bring an appetizer or a brunch dish to share.